Absinthe & Cookies once again hosts the "Gathering of the Blogs." Today is Tartan Day, a day established to celebrate Scottish heritage. Given the readership's interests, I thought we'd talk about the Battle of King's Mountain. One of the turning points of the Revolutionary War, this battle was fought largely by Scots and Scots-Irish who had taken up residence in the backcountry. Its importance is reflected in the prominence of the mountain fighter in the crest of the Scottish American Military Society. Because they crossed over the Appalachians to resist the British, the Patriot's backcountry fighters were called "Overmountain Men." The warlike borderers who thronged across the Alleghanies, the restless and reckless hunters, the hard, dogged, frontier farmers, by dint of grim tenacity overcame and displaced Indians, French, and Spaniards alike, exactly as, fourteen hundred years before, Saxon and Angle had overcome and displaced the Cymric and Gaelic Celts. They were led by no one commander; they acted under orders from neither king nor congress; they were not carrying out the plans of any far-sighted leader. In obedience to the instincts working half blindly within their breasts, spurred ever onwards by the fierce desires of their eager hearts, they made in the wilderness homes for their children, and by so doing wrought out the destinies of a continental nation. They warred and settled from the high hill-valleys of the French Broad and the Upper Cumberland to the half-tropical basin of the Rio Grande, and to where the Golden Gate lets through the long-heaving waters of the Pacific. The story of how this was done forms a compact and continuous whole. 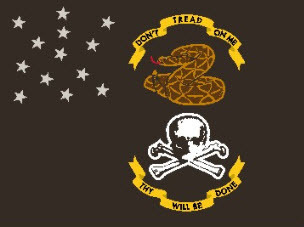 The fathers followed Boon or fought at King's Mountain; the sons marched south with Jackson to overcome the Creeks and beat back the British; the grandsons died at the Alamo or charged to victory at San Jacinto. Ferguson sent a challenge to the backcountry to lay down their arms, or he would bring them fire and sword. Instead, they decided to bring the fight to him. The battle was decisive in preventing the British from cutting off the American South from the Continental Congress. We might have had two Canadas, in other words: a few remaining British colonies in the north, and a few in the South. That makes for an interesting mental adventure -- perhaps someone should write a book about it. If you wish to read still more, Wikipedia's page is here. Eric Blair -- who is either a supervillain or a camel-like space alien, but who has apparently excellent taste in beach drinks and Chinese pottery -- reminds us of the outstanding civilization available in Mexico in 1650. By happy coincidence, here is a review of a book on the glories of that civilization at its merry core: England. I assume they're downplaying the good parts a bit. Like the beer: to judge from literature of the period, the beer must have made it worthwhile. It's hard to imagine any case in which I'd side against the Boy Scouts of America, who must be the finest youth program extant. When they're allied with the DOD, however, they're assured of my support. The loser, in this case, was the ACLU. Any readers in NYC who might enjoy a Broadway show are invited to let me know if this is any good. I can't see how a production about Queen Elizabeth I and the Irish rebel pirate named Grace O'Malley could be all that bad. It appears to be a "Riverdance"-type show, so you'd have to like Irish music and dancing. Otherwise, for a play, it seems interesting. Part of the Soldier’s Creed is never to leave behind a fallen comrade. On the night of March 13, 2006, then-Sgt. Wilzcek, Sgt. Row, then-Pfc. Alvarez, then-Pfc. Pushkin, and the rest of their squad risked life and limb to live up to that promise. Row, the point man, was leading the soldiers through dark, narrow alleys in the city of Ramadi as the squad headed back to base. Suddenly two men darted into a nearby house – and at that hour, Row saw that as a clear sign of imminent danger. He stopped the team, but within seconds the street exploded with an onslaught of machine-gun and small-arms fire, RPG explosions, and hand grenades. The squad dropped to the ground and directed fire at the enemy’s position. Alvarez moved to a covered position to reload his weapon, and he noticed one of his comrades had been hit and was lying in the middle of the firefight. Without hesitation, Alvarez rushed into the kill zone to check the soldier’s vital signs – but it was too late. He covered the soldier’s body with his own and continued firing on the enemy. When he ran out of ammunition, Alvarez stood up and started dragging the soldier out of the line of fire. Row, who was pinned down nearby, provided cover fire as Alvarez struggled to move the body. When Wilzcek and Pushkin saw Alvarez’s difficulties, they ran into the open to help. But as the three moved back toward cover, two RPGs exploded 10 meters away, knocking them down and sending a volley of shrapnel into Alvarez’s right knee. The men stood up and continued dragging their comrade to the safety of a nearby courtyard. The squad was now in the courtyard and medical assistance was being administered – but their work was not done: enemy fire continued to light up the area. When the squad started planning the next phase, Alvarez refused to be moved with the other injured soldiers, staying to help in the fight. The insurgents, seeing the evacuation in progress, focused their fire on the rescuers. Wilzcek, already on the roof, began firing back. After clearing the rooms below, Pushkin and his team hurried up to the roof to help Wilzcek. Row grabbed a Bunker Defeat Munition – a shoulder-launched explosive for use against fortified positions – but his injured elbow prevented him from using it. He ran up to the roof, handed the weapon to Pushkin, and helped guide Pushkin toward the targets. With Row and Wilzcek providing cover fire, Pushkin took aim and fired – destroying the enemy’s position and killing a number of insurgents. With that, the squad was able to leave the area safely. On Feb. 15, 2007, Wilzcek, Alvarez, and Pushkin were awarded the Silver Star for their bravery and actions; Row was awarded the Bronze Star for Valor. Florida is one of three states — the others are Kentucky and Virginia — that still deprive felons of civil rights for life. Most other states automatically restore felons' rights when they complete their sentences, probation or parole. Who knew? So maybe it's not such a big deal... although it still seems like a dumb thought to me. Miss Ladybug sends a post on Texas Bluebonnets, the colorful flowers that mark the arrival of spring. She includes photos from the Lady Bird Johnson Wildflower center. I don't do day to day news roundups, for the obvious reason that there are a lot of places that have the money and manpower to do it better. Still, I'd like to look at some evidence on a particular question of great moment to all Americans: is the Surge, still incomplete, working? Our SECDEF says "So far, so good," noting both successes and danger signs. Illegal militia in Baghdad have stood down, though activity continues in some parts of Iraq. Shiite cleric Moqtada al-Sadr remains in Iran, and there are “some signs that his prolonged absence is leading to some fractures in (his militia’s) organization,” Gates said. Gates also discussed the military’s need for funding to finance the war effort. He said he is concerned about delays in enacting an emergency supplemental bill. Each house of Congress has passed a version of the bill, and both versions contain a timeline for U.S. troop withdrawal from Iraq. President Bush has vowed to veto any bill containing the withdrawal language. Omar Fadhil reports heavy armor in Baghdad, and mujahedeen messages that promise a great deal more than they deliver. He says friends of his in some parts of the city worry the American surge losing momentum, but that hasn't been his observation. There are “some preliminary good signs” that security measures are taking hold in Baghdad, Fox said, as U.S. and Iraqi forces continue to make their presence felt as they operate from 31 joint security stations established across the city. “Our troops now are living and operating in the districts of Baghdad,” Fox said. However, it is too early to say if the reduction in violence is permanent, Fox said, noting there have been an increase in the numbers of car-bombings and other spectacular attacks in Baghdad. That's not surprising in itself -- car bombings, sniper attacks and IEDs are the three forms of combat that the enemy can execute with minimal danger of a successful Coalition reaction. In other words, it's a sign of Surge progress if those types of attacks rise accompanied by a fall in kidnappings and direct terrorism. It means the enemy is being forced to adopt safer tactics in order to survive. General Petraeus is shopping again. ABC News reports the Surge is having "a large and positive effect." Early signs are positive, then. If we can maintain the pressure, it should work. There are dangers, but the serious ones seem chiefly to arise from internal US politics. Military leaders don't seem to be especially worried about what the insurgents will do, because it is already known what they will do, and the military has developed a great deal of expertise over the last several years in countering it. Our military leadership is worried about the split between the Congress and the President, and what that is going to mean. They aren't worried about defeat, in other words -- they're worried about being undercut at home. We should all be pressuring our public servants to ensure that does not happen. I apparently have misjudged something Speaker Pelosi did. This morning I complained about her choosing to wear a headscarf in Syria; like everyone I had seen the pictures at the top of articles about her trip to Syria to meet with the government there. However, I seem to have been misled by the photograph's prominence into thinking that she was wearing it throughout her visit. 3) During the rest of her visit, both to Syria and Saudia Arabia, news photos show her without a headscarf. There's a good one in Yahoo News Photos of a Saudi police officer saluting the un-scarf'd Pelosi. The photos played in the first news cycle as apparent submission to Islamist notions about a woman's place. That, coupled with the stories about her trip to Syria, to negotiate with a power supporting insurgent efforts against us in Iraq in despite of her President's request she not go, made the Speaker appear to be showing symbolic surrender. In addition, as the reports did not make clear that she was acting out of her own faith rather than submitting to another, she appeared to be hypocritical rather than faithful. That impression, given by the way the news reports ran the headscarf photo with the stories about her diplomatic trips, was not fair. Indeed, as I reflect on it, it was defamatory (in the non-legalistic sense). As she is herself a Catholic, there is obviously nothing wrong with her performing a (unusual in America, but traditional elsewhere) Catholic ritual; it is not hypocrisy or submission but a private act of faith to which she is wholly entitled. That should have been made clear, and prominently so, in these stories. Further, far from the original impression, in fact Speaker Pelosi has given the Saudi world an image of a strong female leader who feels no need to submit to their religious requirement that she "be modest" and invisible. One hopes the photo of the saluting policemen is printed widely in the Islamic world. Good for her. I still disagree with her decision to attempt diplomacy with Syria as if she were an executive rather than a legislative figure; but on the point of the headscarf, at least, she has done well. It appears the press can be as unfair to a San Francisco Liberal as it can be to a Texas Republican. I would like not to be unfair to anyone, and so wish to do what I can to correct the impression. You have the opportunity to go back in time, arriving on the east coast of North America circa 1650, and your goal is to cross the North American continent, taking as much time as you need. When/if you reach the Pacific coastline, you’ll be transported back to the present day. -- and a large U.S. Army First Aid kit. 1. What long gun would you take back in time with you? 2. Subject Line: Crossing The Wilderness. Not “What I’d take”, or “Guns and knives” or anything else: Crossing The Wilderness. Copy & paste the words from this post into your subject line. 3. Feel free to elaborate on your choices, BUT in no more than 100 words per answer. I don’t wanna read an essay on survival skills, nor do I wanna hear about the sixteen finalists you went through before you eventually made your choices. I’m looking for answers like: “Colt SAA in .45 LC, because it works and the .45 LC is a proven stopper.” (That’s 16 words.) Feel free to tell me (if you’ve played the game before) whether your choices have changed since last time, and why. Inside the 100 words. 4.—New Rule—multi-caliber combo guns will not be allowed, nor will barrel sleeves (which allow one to swap calibers), nor multiple barrels for the same receiver (eg. a Browning Citori with 12, 20 and 28ga barrels). You get one gun, one barrel / barrel set (in the case of shotguns or a double rifle, in the same caliber). Obviously, a gun which, unaltered, can fire different cartridges like the .357 Mag/.38 Spec or .45 LC/.410ga will be allowed. 5. Answers to me by next Saturday, April 7th. Results will be posted on April 9th. To save the readers chasing it down, I said I'd join Doc in choosing a stainless lever-action .45 Long Colt rifle; I'd pick a Ruger New Vaquero in the same caliber; and a good bowie knife plus a skinning/utility knife. What constitutes a "good" bowie knife is personal to your physique: length of arm, strength of grip, and so forth. I don't see any reason to change those choices. I don't think I ever got around to answering my own questions: what breed of dog, horse, and mule? So let me do that now. Dog: A Labrador mixed with something larger and heavier. These dogs are unfailingly brave and reliable, tough and with boundless energy. They are also strong enough to defend you, but have good hunting instincts. I've worked with several over the years, and one in particular, and they're great animals. Horses: You want a fast horse that has good endurance. I'd suggest one of the gaited breeds, like a Tennessee Walker. They can cover ground fast and without putting strain on you. A non-gaited horse will have to canter (at least) to keep up with them, which will wear out their riders. Mules: There are several good choices in mules. I'd say a draft cross with a Mammoth Jack donkey; they can carry a ton, and if you have to eat them, you'll have plenty of meat to dry and carry with you. We've been nominated for an award in the Thinking Blogger contest. 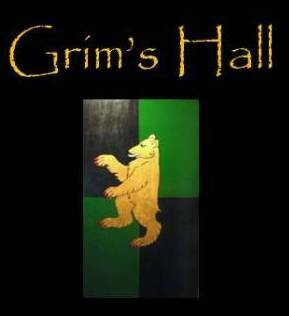 I'm not sure Grim's Hall has ever been nominated for anything before, so it's nice to know. Rurik is a longtime reader, and occasional commenter. I appreciate his interest, and the kind words. I'm a liberal Democrat (pro-gay marriage, pro-choice, pro-progressive taxation, pro-equal rights, pro-environmental regulation, pro-public schools) who supported and supports the war in Iraq. As I tell my liberal friends "Did I miss the part where it was progressive not to fight medieval religious fascists?" I've given up, and decided that it's up to each of us to start doing more. To that end, I've decided to start a PAC that will offer support to Congressional candidates of either party who support a foreign policy that doesn't involve wishing problems away. What you may not know is that he's looking for videos like the first one, from Iraq war veterans. If you'd like to make one and don't know how, let me know (well, I don't know how either, but I can find out). The contract I signed with Pajamas Media ended on 1 April. Though I elected not to continue as a PJM blog, I'd like it understood that Pajamas Media kept every particular of their contract with me, and I have no complaints with them. I simply wished to part ways, for reasons of my own. The company of co-bloggers voted, and narrowly chose to enact some other form of ads in the future. I'll be looking into that directly; I'm not entirely sure how it works. In the meanwhile, the site is back to the pre-PJM format. Happily, as Grim has shown, Prof. Pinker's New Republic article is now in the clear. Thus, I am saved the trouble of trying to summarize it. It's good reading. ...things that, in our time and place, are not tolerated. That looks like progress to me; and since it's progress in the realm of how we treat our fellowman, what better name for it than "moral progress"? But the main thrust of the article is about decreasing violence. In particular, he is looking at a long-term downward trend in murder rates as documented by Manuel Eisner. He's talking about murder, not justifiable or necessary violence. Again, all over the west, it's been dropping for centuries. We still want to do each other harm, that's clear enough, but we don't act on that desire as often. On foreign policy, his case is a little weaker; he cites the Human Security Brief a little selectively (war death rates are way down; terrorist death rates are up). But Grim himself has just made a better case for moral progress in the sphere of international violence, with his Blackfive post, particularly Part IV. When the Scots fought each other, Edward I intervened - to increase his own dominion. When the inhabitants of Yugoslavia fought each other, Europe and the US intervened - to try to make peace between them without taking a square inch. A moral improvement? How could it not be? I am honestly at a loss to see how these developments could be called morally neutral. The best movie so far of 2007 is one in which Rose McGowan, best known to TV audiences as a kind witch on "Charmed," has her leg chopped off and replaced by a snap-on semi-automatic machine gun. That sounds great! Except for the part where it's a "semi-automatic machine gun." Somebody in Hollywood must know something about guns, given that they include them in their movies so often. In The Outlaw Josie Wales, they managed to custom-build cartridge conversions for historic Walker Colts, which (as Guns of the Old West magazine reported not long ago) nobody in the world was tooled up to make in 1976. So how come they can't explain it to the reporters? I have a new piece up at BlackFive by that title. 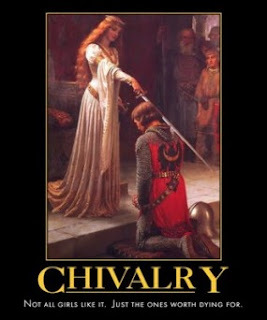 In the comments to my last post, we struck up a conversation about self-defense and the "castle rule." I talked about an nineteenth-century Vermont case that discussed the common law rule as applied over several centuries; I've put the relevant text here. The subject of Texas also came up. I've been doing just a little reading on the subject and wanted to share it. Justifiable homicide in Texas is covered by Penal Code 9.31 and 9.32(a). Under the current law, of which there is a good, brief discussion here, Texas already has a version of the duty to retreat/castle rule used by Louisiana and Vermont, and as listed in section 9.32(a)(2). You don't have to retreat if a reasonable man would not (because retreating would put you in more danger); but you do have to retreat if a reasonable man would do so (or at least, you lose the mantle of "self defense" if he would and you don't). Subsection (b), which removes the duty to retreat outright if the other is unlawfully entering your home, was added in 1995. On September 1 of this year, the new version will go into effect. This specifically removes the duty to retreat, provided the person who acts has a right to be where he is. But the old law (section 9.32(b)) specifically provides that the duty to retreat doesn't apply when you're at home and the person you kill is unlawfully entering (otherwise, the fact that you were at home was still a factor in deciding whether retreat was "reasonable"). In other words, Texas didn't just enact the castle rule last week, but has had some version of it for years. The Texas Bar Journal published an article on the subject in 1967 ("Showdown on Art. 1225," 30 Tex. B.J. 339); I don't have the right kind of law library handy to read the article right now. States do differ in their self-defense rules, but the differences aren't as great as some people think. In comments to the previous post, some have expressed a hope that this will reduce the incidence of lawsuits for wrongful death. Be careful. If you're dealing with a killing by a police officer, as one commenter was, the question of whether he used excessive force is a matter of federal constitutional law (shooting a man is treated as a "seizure" of his person by the state for Fourth Amendment purposes). No statute can change the standards for that. The standard, however, was and is "reasonable under the circumstances." A lot of those cases never see a jury because the undisputed facts simply don't create an issue as to whether the shooting was unreasonable.